Where does the time go? It seems like only yesterday that Raymond, Keith and I were standing in a tiny, raw space watching Kevin Ryan talk about his vision for Service Brewing Co. A few short years later, Service is thriving in a large, sleek, modern location near the iconic Savannah River and celebrating its success with a third anniversary ale. Service is very different now than how Kevin originally pitched it to us, but the realized business is one that he and all of his employees can be proud of. One of those employees is our own Keith Dion who serves as cellarman. When brainstorming ideas for the brewery’s latest anniversary release, SBC 3, Keith described one of his favorite desserts. That passionate introduction was the creative spark behind SBC 3 which was unveiled at the brewery’s anniversary party and is now available in a 750ml bottle at retail locations. SBC 3 is a wheatwine Ale coming in at 9.2 percent alcohol by volume. 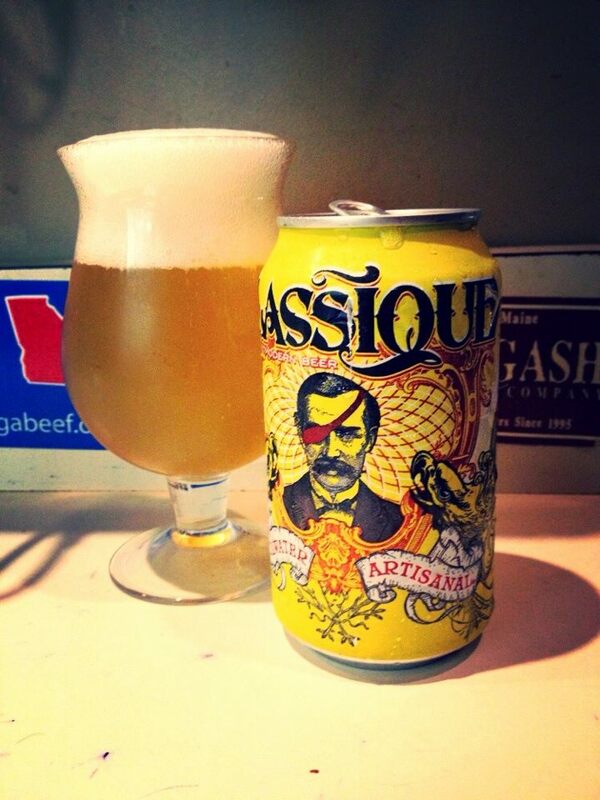 The beer is brewed with Savannah Bee Co. honey, vanilla bean and milk sugar. The beer is noted with a “DOB” of July, 2017 and was reviewed in mid-August, 2017. It should be noted upfront that I am highly partial to wheatwines and could not be more excited to see this style interpreted by the talented team at Service. Also of note, this is not the first wheatwine Service has brewed, but it is the first to go out beyond the brewery. 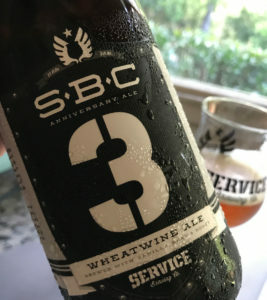 The bottle’s label is identical to Service Brewing’s previous anniversary ales, SBC 0, SBC 1 and SBC 2. It is a bold label with a black background marking a riveted shield, detailed in white and silver with the most obvious entity being the anniversary year numeral. The major difference here is of course the stenciled number on the front (a large ‘3’) and the beer’s title and description. SBC 3 pours a medium caramel color with an off-white head. Held up to the light, the color does brighten to a slightly amber golden brown with moderate cloudiness. 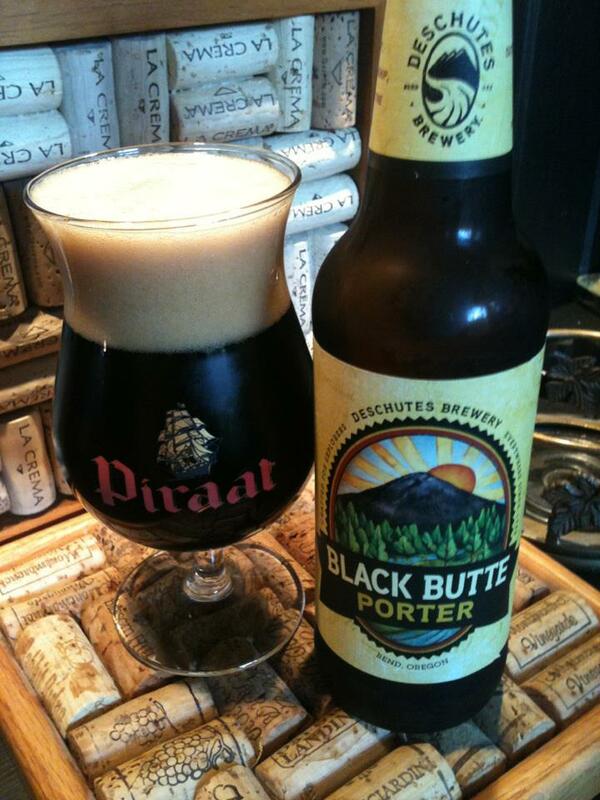 There is a slight alcohol burn on the nose, followed by a bright, creamy sugary sweetness. Imagine if a candy store secretly smuggled a few drops of Schnapps inside its taffy. It’s delightful and slightly naughty. If Service ever wants to go into the candle making business, I’ll be the first customer in line. The sugar comes through the aroma onto the taste. It’s a high note, lofty and not terribly rich but still intense and…assuring. There’s an odd comfort to drinking this beer and the concept of a dessert plate is a strong metaphor. While not billed as a tiramisu beer, that’s the impact. It has a milky-cream element, but it’s kicked back by the sugar and a soft, angel food cake-like malt. The sweetness is in no way cloying. Instead, it’s honest and natural. 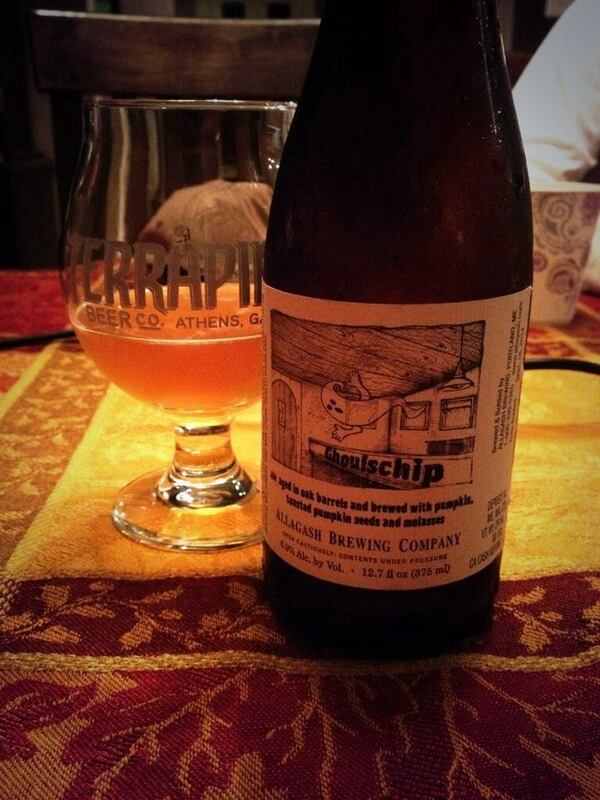 As the beer finishes, there’s a small hint of bitterness from the hops, but hops aren’t what bring you to a wheatwine. For me, wheatwines are all about the sweetness interplaying with the alcohol. Caramel, toffee, a dash of tropical fruit all come together to support the alcohol bite into a nice, bright, surprising and highly drinkable beer. The mouthfeel is one of my favorite pieces of SBC 3. This beer is a perfect in-between. It’s not thin and not thick. Somehow it’s creamy without being chewy. This is where you want a wheatwine to be. It coats but doesn’t stick. There’s enough to savor without being overwhelmed and it leaves you wanting more. Have I effused enough praise yet? 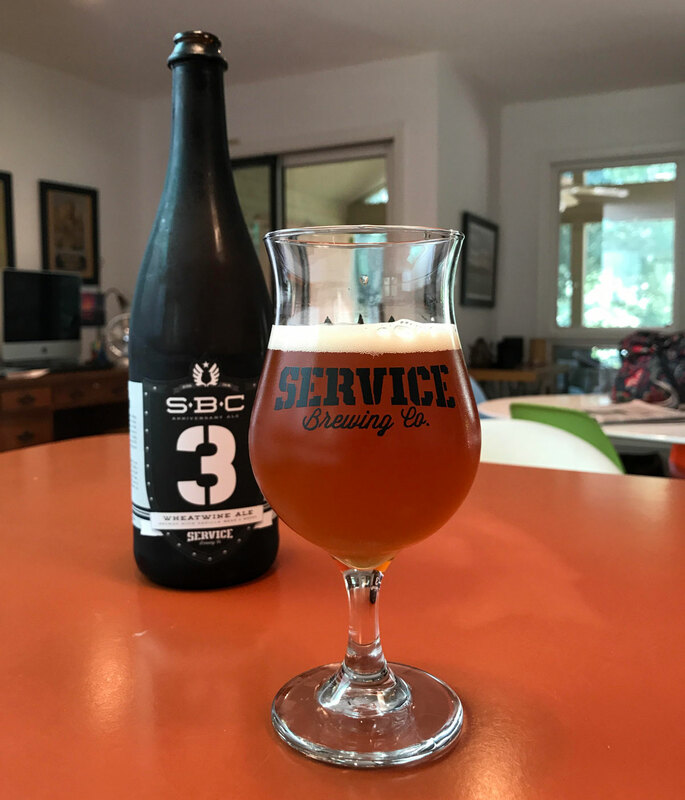 SBC 3 is a fantastic offering from Service Brewing Co. If you like your beers sweet and intense but bereft of any artificial twang, this is a must-buy. My only gripe is that this is a one-off. I just hope they’ve squirreled enough away for a keg to be brought out at the release party for SBC 4.